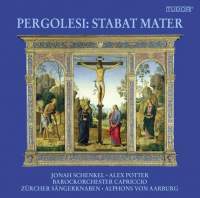 As I noted in my February review of the outstanding new recording on Erato with Julia Lezhneva and Philippe Jaroussky, Pergolesi’s Stabat mater was possibly the most popular and revered composition of the eighteenth centurv . Its frequent appearance on disc and in concert shows that modern audiences have also come to love its rather rococo piety. Although Pergolesi was a renowned opera composer and his Stabat mater is not free of operatic turns of phrase, big bel canto voices are not well suited to bring out its delicate charm. The pure voices of Lezhneva and Jaroussky and stylish accompaniment of I Barocchisti directed by Diego Fasolis make it the finest recorded account of the Stabat mater. However, for complete historical authenticity, a recording using only male voices is probably necessary — although it is possible the work was also occasionally performed by nuns in some convents. Let us remember too that women singers began to appear in Catholic worship later in the century: the wives of both Michael Haydn and Mozart sang soprano solos in Salzburg Cathedral. The most common performers of the two solo parts were probably boys (singers such as Farinelli first came to notice as boy soloists), followed by castrati and then falsettists. If a choral arrangement was performed, then in the eighteenth century, at least, this would have involved a boys’ choir. 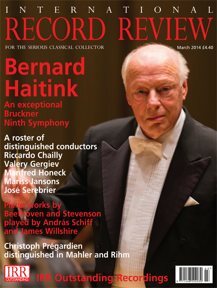 The reason boys are used as solo singers by so few conductors these days, even those who pride themselves on an historically informed approach, is largely pragmatic: women’s voices both as soloists and in a choir have greater longevity and require less work to bring out their best qualities. There are directors, who, to their credit, still prefer to use boys’ voices in Baroque sacred music, including Edward Higginbottom, Gunar Letzbor and Holger Eichhorn; but it must be conceded (even by the strongest advocates of boy soloists) that their quality and artistic maturity vary greatly — as can be heard in the different boy sopranos used in the complete Bach cantata project of Gustav Leonhardt and Nikolaus Harnoncourt. One of the outstanding boy singers in that series was Sebastian Hennig, who also recorded the Stabat mater with René Jacobs. More recently, Gunar Letzbor’s continuing exploration of forgotten Austrian and South German sacred music with the St Florianer Sängerknaben has featured some remarkably mature and sophisticated singing by boy sopranos and altos. None of these, however, matched Jonah Schenkel on this new Swiss recording of the Stabat mater. He is quite simply the most accomplished boy soprano I have ever heard. His voice is strong and agile yet innocent and pure in timbre. He clearly understands the text and delivers it with patent sincerity. His command of the late-Baroque trill is superior to many, if nlot most, adult female singers working in this repertory. Finally, he has quite exceptional breath control, as can be heard in his effortless singing of the very long, slow phrase ‘in tanto supplicio’ in the fifth stanza. Master Schenkel is well matched by the Swiss-based English countertenor Alex Potter. He has a very different vocal quality from Jaroussky’s, richer (some might say ‘plummier’) and is slightly less precise in articulation. He shapes phrases beautifully and adds some discreet but pleasing ornamentation. Whereas the voices of Lezhneva and Jaroussky were at times almost indistinguishable in the duets, there is a pleasing contrast between those of Schenkel and Potter. Some of the duet verses are sung chorally; but these are not arranged for four parts, rather the two parts are performed, very suavely, by the boy sopranos and boy altos of the Zürcher Sänghernaben under its director Alphons von Aarburg. The period-instrument Barockorchester Capriccio provides stylish if unflashy accompaniment to the Pergolesi and plays with great verve in two short string Concerti grossi by Giovanni Lorenzo Gregori. The barely adequate booklet essay makes no mention of these last works, so readers may be interested to learn that they were published in 1698 — nearly 30 years before Pergolesi composed the Stabat mater and are the earliest publication to bear the title Concerti grossi. In light of the very short running time of the disc, several more of these delightful works really should have been included; or, even better, some more solo Pergolesi sung by the remarkable Jonah Schenkel.